Today’s tight real estate market has made selling your home a more challenging task. Successfully selling your house today many times can be a matter of making your house stand out compared to your neighbor’s whose house is also on the market. Studies have consistently shown that a house shows better and sells faster when it is clutter-free. Consider these useful tips when preparing to put your house on the market. First thing is always get rid of all the junk and clutter you may have collected over the years that you’ve lived in the house. Let JunkBoys partner with your cleanup making it easy to get your house clutter free. Here’s a great strategy we’ve seen others use successfully to get their home showcase ready to sell. You’ve got to break the project into smaller steps to make it manageable. Take one room at a time and remove as many items as possible out of the room. Don’t try to move the heavy stuff, but pull everything out of drawers, closets and cabinets. Clear a place in your garage where you can start accumulating the things that will definitely be discarded. Put the “undecided” pile in storage – if you can live without these things for 90 days, they probably need to be permanently discarded. Of the things that you want to keep, decide what can go to temporary storage, and what needs to be put back into the room. If you take this approach on a room-by-room basis, you’ll be amazed at how you can transform the look of your house over a few weekends. When you’ve gone through your house, give JunkBoys a call for the rubbish removal service and have the “to be discarded” items removed from your garage. You can save your time and money by allowing just ONE company to come and do all the work for you! JunkBoys are licensed and insured with a staff that’s highly trained and professional. 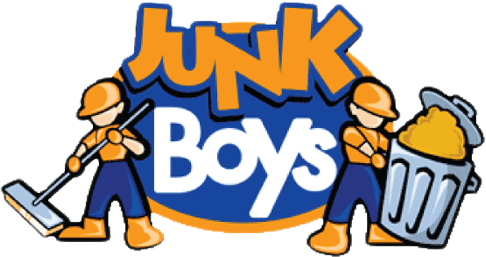 The Junk Boys will do all the heavy lifting, loading, and clean up for you, JUST SHOW US WHERE AND WE DO THE REST! And we make every effort to donate items and recycle as appropriate!